Los Baños Internment Camp was established to house the overflowing number of internees in Santo Tomás Interment camp (STIC). The raid at Los Baños in the Philippines, early Friday morning on 23 February 1945, was executed by a combined U.S. Army Airborne and Filipino guerrilla task force, resulting in the liberation of 2,147 Allied civilian and military internees from an agricultural school campus turned Japanese internment camp. It has been celebrated as one of the most successful rescue operations in modern military history. It was the second precisely-executed raid by combined U.S.-Filipino forces within a month, following on the heels of the Raid at Cabanatuan at Luzon on 30 January, in which 512 Allied military POWs had been rescued. Since the landings of the U.S. Sixth Army at Lingayen Gulf and the U.S. Eighth Army at Nasugbu, Batangas on 9 January 1945 and 31 January 1945 respectively, to retake Luzon, the Imperial Japanese Army was being repeatedly pushed back and was increasingly becoming desperate. Soon news was filtering down to Allied commanders that the Japanese were killing innocent civilians and prisoners of war while falling back. General Douglas MacArthur was deeply alarmed about the plight of thousands of prisoners who had been interned in various camps on Luzon, since the early days of the Pacific War. There was concern that, with deliverance so near, they might be killed. Earlier, some daring raids were carried out to rescue POWs, including one at Cabanatuan and at the University of Santo Tomás Internment Camp and Bilibid Prison at the height for the battle of Manila. In Los Baños, Laguna, at the UP College of Agriculture and UP College of Forestry, now the University of the Philippines Los Baños, which was located on a 60-acre (240,000 m2) site, was the POW and civilian internment camp, wedged between the foothills of Mount Makiling and the northern shore of Los Baños facing Laguna de Bay. The main internment building was inside Baker Hall, a gymnasium, where most internees had been incarcerated since 1942. Surrounded by barbed wire fences in clusters of hatched huts were 8,146 civilian internees: 7,000 Filipinos, 1,527 Americans, 329 British, 133 Australians, 89 Dutch, 30 Norwegians, 22 Poles, 16 Italians, and 1 Nicaraguan. Aside from eleven navy nurses under the command of Chief Nurse Laura M. Cobb (some of U.S. military nurses known as the “Angels of Bataan and Corregidor”) and a few servicemen, most of the internees were civilian businessmen, teachers, bankers, and missionaries caught by the Japanese during the course of the war and incarcerated in various POW camps in the country. On 14 May 1943, as the prisoner population at the University of Santo Tomás Internment Camp rose to unmanageable levels, the internees were transferred to the new Los Baños facility, some seventy kilometers (45 mi) away from Manila. While incarcerated, the POWs had formed a committee to deal with the guards for self-governing purposes and to obtain whatever marginal freedom or concessions they could obtain from the Japanese prison authorities. Nonetheless, the internees were made to get by on dwindling rations, limited clothing, poor housing and non-existent sanitation, and endure the sadistic tendencies of the camp guards. By early 1945, the conditions in the camp turned hellish, with enforced limited rations and mounting abuse, courtesy of the camp’s second-in-command, Warrant Officer Sadaaki Konishi. The U.S. 11th Airborne Division under Maj. Gen. Joseph Swing arrived in the southwest Pacific in mid-1944. Prior to taking part in the invasion of Leyte in October, the division had undergone theater combat training in New Guinea. Together with the 503rd Parachute Regimental Combat Team, these were the only U.S. Army airborne forces in the Pacific theater of operations. After Leyte, the 188th Glider Infantry Regiment landed at Nasugbu with the U.S. Eighth Army on 31 January, while the 511th Parachute Infantry Regiment parachuted into Tagaytay Ridge, south of Manila as a diversionary assault. On 3 February 1945, Gen. Swing was tasked with a rescue mission to rescue the internees at the Los Baños camp, some twenty-five miles (40 km) behind the Japanese lines. However, with the 11th Airborne committed to a series of pitched battles south of Manila and the resolute Japanese defense at Nichols Field and Fort William McKinley, immediate deployment was out of the question. As an interim measure, Maj. Gen. Swing ordered his subordinates to develop a plan that could be implemented at the earliest possible moment. Then on 18 February, the 1st Battalion, 511th Parachute Infantry Regiment, under Major Henry Burgess, the main unit assigned to carry out the mission, was pulled out from its battlefield position on the so-called Genko Line, a fortified system of interlocking pillboxes and anti-tank fortifications running along the southern Manila district of Las Piñas and proceeded to Parañaque district to rest and regroup. 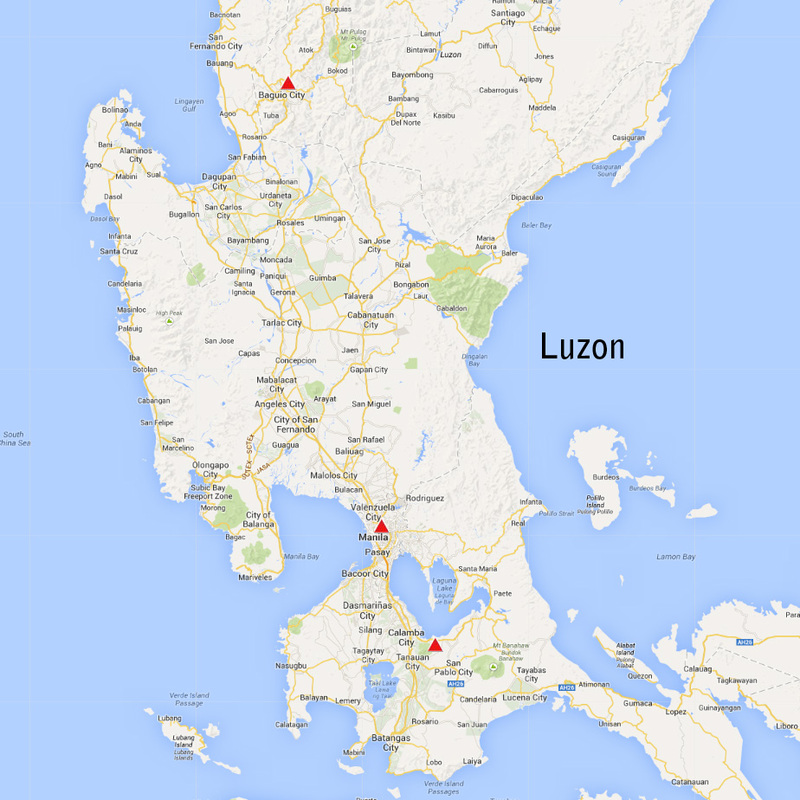 By 20 February 1945, the conditions on Luzon turned favorable, such that the various elements could be withdrawn from combat and apprised of their mission. They were ordered to their staging posts and readied to go, with the raid scheduled for 07:00 on 23 February. For the jump phase of the assault plan, the 511th regimental commander, Lt. Col. Edward Lahti appointed Company B, 1st Battalion, 511th Parachute Infantry Regiment of the 11th Airborne Division under 1Lt. John Ringler together with the Headquarters Company Light Machine Gun Platoon of 1Lt. Walter Hettlinger. The 188th Glider Infantry Regiment of Colonel Robert Soule had perhaps the most daunting task; trying to stave off a counterattack from the main highway. Bivouacked across the San Juan River were some 8,000 Japanese troops of the 8th “Tiger” Division, commanded by Lt. Gen. Shizuo Yokoyama. Casualties were expected to be high, but the risks were deemed to be worth it. The success of the mission would depend on speed and surprise. 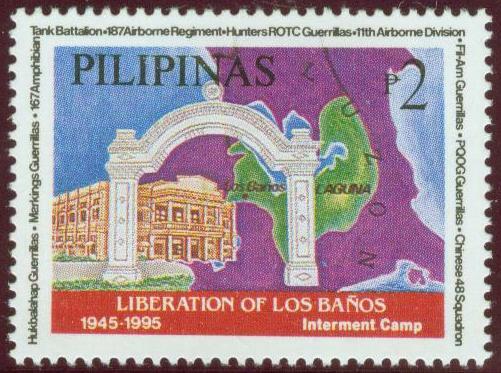 The various Filipino guerrilla groups operating in the vicinity of Los Baños played a key role that led to the successful liberation of the camp. Earlier, in the partisan war against the Japanese, a combined guerrilla command was formed to bring some order to the effort by the defunct USAFFE command, which was in charge of unconventional forces in the Philippines, and renamed as the General Guerrilla Command (GGC) of Luzon under Maj. Jay D. Vanderpool of the U.S. Army. Under the GGC, the Hunters ROTC (Reserve Officers Training Corps) guerrillas, made up originally of former cadets of the Philippine Military Academy along with some former ROTC and college students under the command of Col. Frank Quesada were one of the most active groups. Other formations include President Quezon’s Own Guerrillas (PQOG) under Col. Fil Avanceña, Red Lion’s Unit, the Filipino-Chinese 48th Squadron and the Villegas group of the Marxist Hukbalahaps were tasked by the GGC to coordinate operations related to Los Baños. Among the members of Hunters-ROTC guerillas who participated in the raid was the future Filipino film star Mario Montenegro, then only sixteen years old. Long before the arrival of the U.S. liberation forces, the guerrillas conducted intelligence operations that gathered precise inside information about the POWs in Los Baños and their guards. Many prisoners were long-time friends of partisan families before the war. With Lt. Col. Gustavo Ingles designated as overall guerrilla coordinator with the 11th Airborne Division, information was shared with Maj. Gen. Swing’s Command Staff, including Col. Henry Muller (G-2), and Col. Douglas Quandt (G-3), as well as other top planners, who fine-tuned the final strategy. On 12 February, Freddy Zervoulakos, a 19-year old Greek-Filipino, slipped out of the camp and made contact with the guerrillas. He was sent back into the camp with the promise that the internees will be rescued. But the internee committee decided that it would be best for the prisoners to do nothing. A week later, another escapee from the camp, a civilian engineer named Pete Miles, gave further valuable information to the 11th A/B Division planners, including the daily routine in the camp, details of troop positions and the exact location of the internees. This proved a great asset to the planners and enabled them to finalize the four-phase plan that was timed to coincide with the guards’ exercise period, which was conducted by the Japanese troops without clothing, equipment, or weapons, thereby minimizing the risk of harm to the internees during the rescue. Other internees managed to escape from the camp days before the raid. Meanwhile, Lt. Roger Miller, with two enlisted men, left to make a reconnaissance of the drop zone. They were instructed to return to the unit for debriefing and to jump with B Company. Phase 1 would begin when the 11th Airborne’s Provisional Reconnaissance Platoon, under the command of 1Lt. George Skau, together with some twenty Filipino guerrilla guides, would travel behind enemy lines by bancas (local fishing boats) across Laguna Lake two nights before the raid, where they would wait. Four assault teams under Sgts. Martin Squires, Terry Santos (4th class graduate of the Alamo Scouts Training Center), Cliff Town and Robert Angus would assault the camp gate from different angles. At 07:00 on 23 February they were charged with marking the Drop Zones, Landing Zones and for the neutralizing of the camp gate guards, simultaneous with an attack from the remaining directions by the guerrillas’ 45th Hunter Regiment under Lt. Col. Ingles, who will also surround the entire camp perimeter prior to the signalled hour. In Phase 2, B Company, 1st Battalion, 511PIR led by Lieutenant John Ringler, with the support of Lieutenant Walter Hettlinger’s Machine Gun Platoon, would parachute into a small drop zone next to the camp, rendezvous with a Hukbalahap guerrilla unit, neutralize the remaining camp guards and secure the internees. In Phase 3, the remainder of 1st Battalion would board 54 LVT(4) tracked amphibious assault vehicles of the 672nd Amphibian Tractor Battalion commanded by Lt. Col. Joseph W. Gibbs at 04:00 and slip into Laguna de Bay and head for Mayondon Point, near San Antonio, some two miles (3 km) from the camp. A Recon Platoon squad under Sgt. Leonard Hahn would mark and guide them to their landing point. Here they would travel overland and make their way to the camp, scheduling to arrive shortly after 07:00. They would then carry the internees back to Mayondon Point and make good their escape to Mamatid village. Phase 4 involved the 188th Glider Infantry Regiment (minus its 2nd Battalion) and Company C of the 637th Tank Destroyer Battalion together with elements of the 472nd and 675th Field Artillery Battalions, under Colonel Robert H. Soule. The force would move down Highway 1 to act as a diversionary force and to engage the Japanese 8th Division, if necessary, so as to protect the flank. Other guerrilla units such as Marking’s Fil-American troops and the 48th Chinese Squadron were to set up road blocks in the towns of Calauan, Bay and Pila to delay possible Japanese reinforcements. The Hunters-ROTC 47th Regiment under Col. E. de Ocampo would do the same in the Calamba-Pansol area. The backup 11th A/B pack howitzers in Calamba, Laguna, area was to bombard the road towards Los Baños. All the surrounding approaches and to the main camp would be secured. The townspeople were briefed and asked to vacate Los Baños by the local PQOG home-guard units. Under cover of darkness on 21 February 1945, Lt. Skau and his 31-man platoon left the north shore of Laguna de Bay and headed across the lake in three bancas. Lt. Skau and six men led the way while the separate assault teams followed soon after. Avoiding Japanese patrol craft on the lake, they landed near Nanhaya and met with Lt. Miller’s party, other local guerrillas and some camp escapees at the local schoolhouse. Included in the group were Freddy Zervoulakos and Benjamin Edwards, another young escapee, who sketched the layout of the camp on the schoolhouse blackboard. Lt. Skau decided to split his group into six teams, assigning a number of guerrillas to each team. Edwards and Zervoulakos each accompanied one team. On the night of 22 February, they journeyed through the jungle and rice paddies to their starting points, without alerting the Japanese, and were ready and waiting at 07:00 the next day. Hours before 07:00, guerrillas of the 45th Hunters-ROTC Regiment had stealthily assumed their designated positions around the camp, and they waited for Lt. Skau’s Recon Platoon to signal the start of the assault. At 04:00 on 23 February 1945 the 1st Battalion 511PIR (less B Company) boarded fifty-four amphibious tractors (Amtracs), slipped into Laguna de Bay, and headed for Mayondon Point. They also managed to reach their destination without alerting any Japanese defenders and headed off for the remaining 2 miles (3.2 km) overland journey to the camp, aiming to arrive just after 07:00. Meanwhile, Lt. Ringler’s B Company, 511th PIR together with the Light Machine Gun Platoon, had spent the moonless night of 22 February waiting at Nichols Field where, in the early dawn, they donned their parachutes, put on their equipment, and loaded onto nine C47s of the 75th Troop Carrier Squadron, under the command of Major Don Anderson, for the short flight. Flying unopposed by Japanese aircraft or antiaircraft fire, they soon arrived at their destination, which was clearly marked with white smoke by the Reconnaissance Platoon. Some three minutes before 07:00, a lone Japanese sentry hunting possum among the bushes that shielded the waiting guerrillas shot at an animal, which was taken as a signal that the raiders were spotted. A Filipino guerrilla broke cover and hacked the sentry to death. Instantly, a wave of men charged the camp. The Recon Platoon teams immediately swung into action. The assault team led by Sgt. Santos destroyed three pillboxes outside the main gate with automatic weapons fire. Sgt. Town’s squad raked several guardhouses along the perimeter and decimated a patrol charging their position. Lt. Col. Ingles’s guerrillas overran the camp perimeter and were battling Japanese guards at the rear of the camp. While Lt. Skau’s platoon was heavily engaged with the guards at the main gate, some men popped colored smoke to mark the drop zone for the paratroopers. At 07:00, coming in at the planned 500 feet (150 m) jump altitude and in three Vs-in-trail formation because of the small drop zone, Lt. Ringler’s paratroopers dropped from their aircraft. While the ground forces were overcoming the perimeter defenses, B Company regrouped, killed some stragglers fleeing from the camp and helped subdue the remaining guards before they had a chance to respond in force. The firefight was short and intense. The Japanese were defeated and the internees freed. Mindful of the need for speed, Lt. Ringler’s men rounded up the internees as rapidly as they could. Some prisoners refused to leave, so Lt. Hettlinger’s men burned the camp’s remaining huts, to encourage the internees to the Amtracs. At first, the disabled, along with the women and children, were loaded onto the waiting vehicles, while the more able internees formed a walking column and headed for the beach and freedom. As they made their way to the beachhead at San Antonio, in the distance they could hear heavy machinery. Thinking that Japanese tanks were approaching, a mass panic among the internees started, but they were relieved when the “tanks” turned out to be amphibious vehicles. On schedule, the fifty four Amtracs of the 672nd Amphibious Battalion arrived, guided by the signal flares and white smoke of Sgt. Hahn’s squad. In the distance, across the lake, intense fire was heard. That sound was from the Soule Task Force. Early that morning, the diversionary force of the 188th Glider Infantry Regiment and Company C of the 637th Tank Destroyer Battalion, together with elements of the 472nd and 675th Field Artillery Battalions under Soule, rolled out into Highway 1 and attacked across the San Juan River. They ran into Japanese opposition near the Lechería Hills where casualties were taken, but by mid-morning they had cleared the area and were marching towards Los Baños and cutting off the road between the Japanese 8th Tiger Division and Los Baños. As the Amtracs started on the return trip, a hidden machinegun opened up and hit an Amtrac. Corporal Dwight Clark of the 672nd ATB returned fire with one of the Amtrac’s .50-caliber machineguns and silenced the gunner before any of the civilians or rescuers were harmed. From an elevated position, Soule could see, in the distance, the Amtracs on the beach heading back to Mamatid, so he ordered his force to conduct a defensive withdrawal and to re-establish its bridgehead across the San Juan River. Finally, 2,147 former Allied POWs and internees, including three-day old baby girl Lois Kathleen McCoy, reached Mamatid. Frank Buckles was also among the prisoners; he had been captured as a civilian in Manila. Two of Sgt. Santos’s Recon Platoon members and four Filipino guerrillas were wounded. Two 188th Glider Infantry Regiment soldiers, J. C. Doiron and Vernal Ray McMurtrey, were killed at the Lecheria Hills engagement. The hand-to-hand skirmish was not without casualties. A handful of guards were able to muster a makeshift defense, killing two young Hunter guerrillas, Pfc. Atanacio Castillo and Pfc. Anselmo Soler. Their bodies were recovered and buried beside the College chapel. The ensuing fight went on for very long minutes without letup, enemy defenders caught by total surprise were pinned and cut down mercilessly by liberator’s fire. The Hunter experience through the years in irregular warfare paid off handsomely. It was also true of the paratroopers who were veterans of the South Pacific before they landed in Luzon. A few days after the rescue, the Japanese in full force, led by the escaped Sadaaki Konishi, returned to Los Baños. Upon seeing that there were no POWs in sight, the Japanese turned their wrath on the remaining civilians in town who had failed to heed the warning from the guerrillas to leave. With the help of pro-Japanese MAKAPILI, the Japanese massacred some 1,500 men, women and children, and burned their homes, as well as those in the adjacent towns suspected of collaborating with the liberators. Konishi was tried for his war crimes after the war and hanged. I doubt that any airborne unit in the world will ever be able to rival the Los Baños prison raid. It is the textbook airborne operation for all ages and all armies. The outstanding success of the Los Baños raid incorporated many facets that revolutionized generations of future special military operations. Thorough planning, reliable intelligence, stealth, speed and surprise, superior firepower, cooperation by friendly forces, and support of the populace gave the planners and forces implementing the raid an advantage that resulted in few casualties. The vengeful massacre in the aftermath of the raid underlined the desperation of the Japanese army in their hopeless attempt to turn the fortunes of war. This campaign of ruthlessness was also reflected later in the concluded liberation of Manila and beyond, in the Pacific War. I would like to see list of those born in Los Banos Internment Camp. My Parents were interned initially in Santo Tomas, but eventually volunteers to transfer to Los Banos. Pedro Andres Casanave and Grete Kretzschmar Casanave, my eldest brother, Peter Albert Casanave was born, January 9, 1945. Hi, Teresa, thanks for your message. There is a “War Babies” page on this site which lists most of the babies born within the various camps. Peter Albert Casanave doesn’t appear in the list, but I will check into this. Thanks again and regards, Cliff. My parents were Santo Tomas and also volunteered to go to Los Banos.I was born on August 11, 1944. My parents are Michael O’Hara Sr. and Lorraine Schechter O’Hara. I’m Michael Jr.
Pedro A Casanave, Sr., an American who served in the Spanish-American War. Wife: Teresa Escay Casanave. Son & my father, Pedro Andres Casanave, Jr, his wife & my mother, Grete Kretzschmar Casanave, grandson & my eldest Brother: Peter Albert Casanave. Peter was born in Los Banos Internment Camp on January 9, 1945. Any information would be beneficial to the Casanave family. I will email you a couple of things that I have concerning them. Peter Albert Casanave, my brother, was born at Los Banos Int. Camp, on January 9, 1945. In fact, several babies were born that day, as there was significant bombings taking place at other camp. I would also like to find out the date of death for Maria Levy Casanave, she was mother to my 1st cousin, Pete(r) Alphonsious Casanave, he was ten years old by the end of the war. Hi, Teresa. According to James E. McCall’s 1945 book, “Santo Tomas Internment Camp,” Marie L. Casanave died of cancer on 18 July 1943. I will email you this page, along with some other items. I am working on a “In Memoriam” page which will list over 600 civilian deaths. My father Frank R. Beeman was, along with his parents and other family members was initially interned at Santo Tomas Interment camp. My father went to the “American School” obtaining a hand-drawn diploma from “Santo Tomas Interment Camp Education Department”. He and his family later had been transferred to Los Banos camp. Any information you may have would be wonderful. Thank you so much for providing this. My father John Whitesides was at Santo Tomas and later moved to Los Banos. I was thinking of going to the Philippines in November to visit both Santo Tomas and Los Banos. Do you happen to know if there any historical tours of the two locations? My father Frank R. Beeman was, along with his parents and other family members initially interned at Santo Tomas Interment camp. My father went to the “American School” obtaining a hand-drawn diploma from “Santo Tomas Interment Camp Education Department”. He and his family later had been transferred to Los Banos camp. Any information you may have would be wonderful. Thank you so much for providing this. Hi Clifford, you wrote ” According to James E. McCall’s 1945 book, “Santo Tomas Internment Camp,” Marie L. Casanave died of cancer on 18 July 1943. ” In what page is this found? Thank you! Hi, Nereo. Thanks for your message. The listing for Marie Casanave appears on page 138 of McCall’s book, in the section entitled “List of Deceased in Santo Tomás Internment Camp and Los Banos Internment Camp During the Period from January 4, 1942, to March 18, 1945.” If you’d like, I can send you a copy of that page. Hi Cliff, yes please. I hope you can also send me information about the Casanaves. I am writing a paper on Pedro Casanave as he was a noted photographer here in Iloilo before WWII. Thank you! Sir, my email is nclujan [at] yahoo [dot] com thanks! Thank you for your reply. In Robin Prising’s book, at one point he said Millie Brown Sanders was transferred to Los Banos. I had doubts, and you helped me to make a decision. Later, I believe that Robin corrected himself and said that she remained at Santo Tomas. After I talked to you, I got the 1948 Ebony magazine (9 pages) interview, “The Saga of Ma Sanders” where Millie gave a lot more details about her life in captivity. She didn’t mention being transferred. There was new information in the article. It is copyrighted, but I think that I am allowed to share it privately by email. An interesting fact that Millie revealed was that she checked herself into Santo Tomas after the Japanese soldiers beat her so badly. She couldn’t continue with her work and was very ill and injured after the beating. She also stated her husband was in the Bataan death march and was imprisoned at Cabanatuan.. That would have made him about 63 years old. Do you know if there is a list of POW’s at Cabanatuan? Thank you again for your help. My family knew and loved Millie Sanders in the 1950s in Pasadena. I was just a kid, and Millie came to help my parents after I had major surgery. She was a beloved friend too….and I never knew why. Now I discover she was at Santo Tomas….at the same time my father’s Aunt and three cousins were interned there. Leah Lippe, her sons Myron Anthony and Marvin Leroy, and baby daughter Mary Ellen were there after Leah’s husband, John Merlin Lippe was killed in the bombing of Cavite harbor. I am VERY interested in any information about any of these people! Please share the Ebony article if you can. I will try to contact you, Sandra, through the Harrison County Historic Museum so we may email privately. My grandfather, George Eddy Heath, was a civilian prisoner at, I believe, Los Banos. I would like to find a list of the civilians imprisoned in Los Banos and thus ascertain if Los Banos was the camp in which he was imprisoned and from which he was rescued. Thank you. THe book Rescue at Los Banos lists all the internees in the back. I am looking for documentation of my Uncle and Aunts internment the internment camps in the Phillipines during WWII 1943-45. Their names were Clarence Kirk Kiene & Evelyn Kiene. Hi, I am the niece of Harry (Henry) Gallagher. I just found letters to him at Los Banos University Prison. He was liberated by the Paratroopers. My mom’s letters are very sweet and I think she would like me to research this and share it with my children and grandchildren. Any help would be wonderful. I have read “Rescue at Los Banos” and wondered if anyone remembered their mom or dad mentioning my uncle Henry(Harry ) Gallagher. He was the engineer for the electric company in Manila. Do you know if any id type photos were taken of the civilian POWs at Santo Tomas by the Japanese? My ex-in-laws (Max and Vera Brummett) were interned there after arriving in Manila on 7 Dec 9141. They’d left Shanghai on 1 Dec 1941. He was a Merchant Marine and was bringing his new bride to America. She’d been born in Russia. Their daughter was born in Manila and I found her name on the list. Hi John Cipollina, That is great that in 2017 you were still able to have annual LOS BANOS Reunion gatherings at Forlini’s Restaurant in NYC. How’s it going with the paratroopers this anniversary day in 2019? My Aunt was Sister Mary Beata Mackie, one of the 54 Maryknoll religious sisters liberated this day. About 2002 Frank Forlini came out to their Motherhouse in Ossining, NY, on this date to meet the last of the sisters who were rescued, my aunt being one. God bless all the rescuers! To whom ever might have some info on a “Roy C Bennett” a civilian held at the Santo Thomas, Manila Camp, 14-121. Repatriated, July, 1945. May have been my father, that I never knew. I’m looking for an X US Navy man, born in 1900, Floyd County, Georgia. Hi, Louis, thanks for your message. There was a Roy Coleman Bennett interned in the camps, but he was born in 1889 in Centertown, Kentucky. There was also an internee named Roy DeWitt Bennett, but he was born about 1882. I will look through my resources to see if I can identify the Roy Bennett that you are looking for. Hi, I am looking for any information on my parents who were interned at Santo Tomas and Los Banos, their names : Arthur “John” Hodges and Eleanora Hodges. They were evacuated out of Shanghai on the S.S. Anhui and liberated on the David C Shanks to Townsville in Australia. I grew up listening to this story from my grandpa. His name was Clifford E Town/special forces, one of the leaders of this raid. If you have any more information about him or his platoon I would love to read it. I miss him so much. Thank you.